Bigger, better and bolder: the Singapore Yacht Show returns in 2019 with a slew of highlights you won’t want to miss. The Singapore Yacht Show (SYS) is a four-day event providing nautical lifestyle seekers with an opportunity to discover some of the world’s finest motor yachts and best-known boating brands in a highly social, fun-filled setting. The 2019 edition runs from 11–14 April. 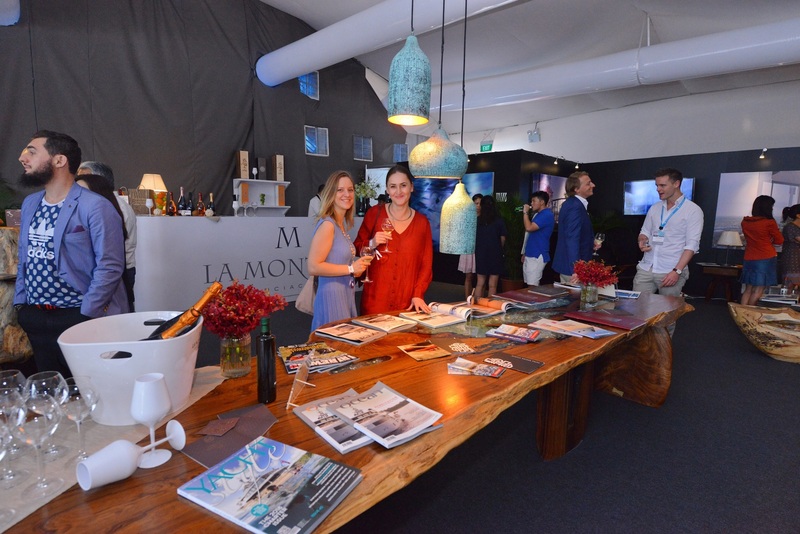 After last year’s record-breaking SYS, organiser Verventia promises visitors to this year’s show a showcase of more yacht premieres than ever before, as well as a luxury lifestyle extravaganza and a vibrant social calendar. With more than 16,000 visitors expected over the show there will be something for everyone, with a wide range of activities for couples, families and groups of friends. A show for yachting newbies and seasoned sailors alike, there will be plenty to see, try out and enjoy at SYS. At the Floating Leisure Hub, more adventurous visitors will have a chance to participate in demonstrations of the latest toys including jetskis, submersibles, inflatables, day boats and fishing equipment. Companies from the Australian marine industry who will make the journey over include Rivergate Marina and Ahoy Club, while the Marina Industries Association will represent a number of Australian marinas. The marina will come alive each night as stylish soirées and yacht parties get underway. Palm beach GT50 Salon Express. 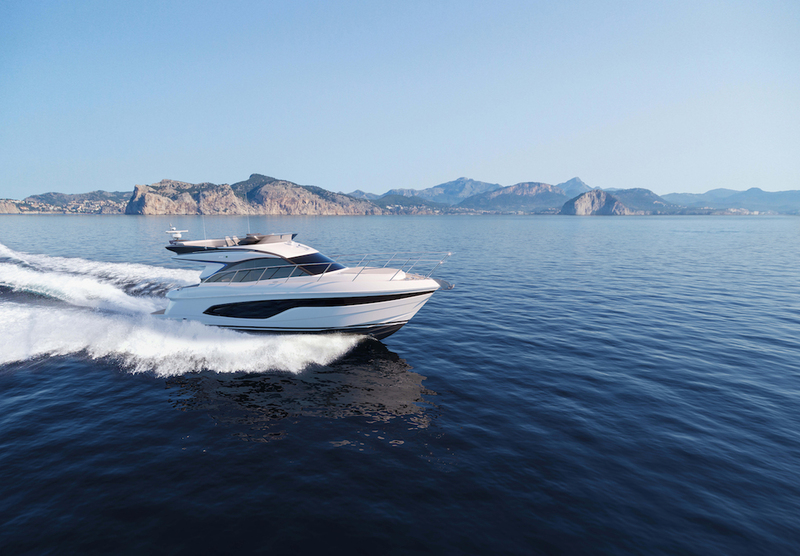 Style, design and innovation come together in the Azimut 66. 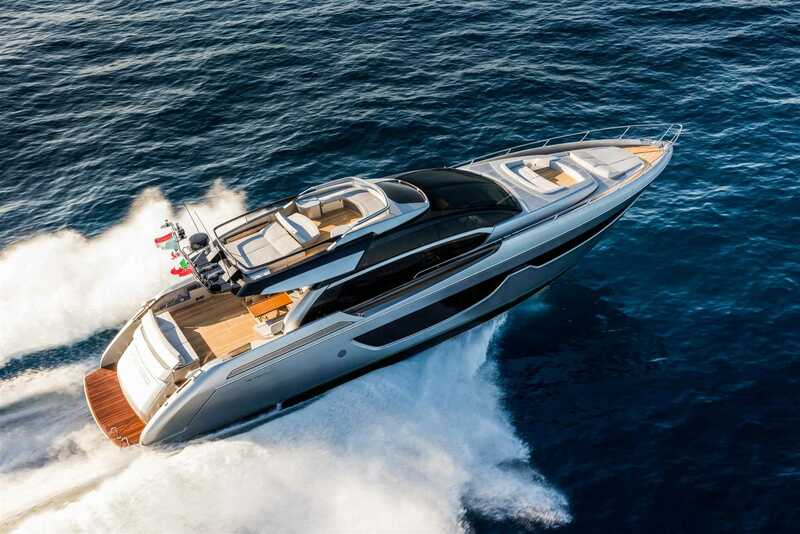 At 28 square metres, the prestigious Azimut Yachts Hong Kong presents, in the 66, one of the largest flybridge areas of its class and offers owners themed interior and customisation options. A first to be unveiled in Asia at the Show is the Alegria 67 presented by Fountaine Pajot. This 20-metre catamaran is a one-of-a-kind beauty featuring an ocean terrace on the expansive flybridge and a stylish forward cockpit which can accommodate a Jacuzzi. The Palm Beach GT50 makes her way to the show in her Asian debut following her launch in February this year. Building on the success of the recent launch of the GT50 Salon Express, the GT50 Open carries the same formidable power as her predecessor and extends further with an expansive main-deck layout to maximise a sun-lover’s enjoyment. 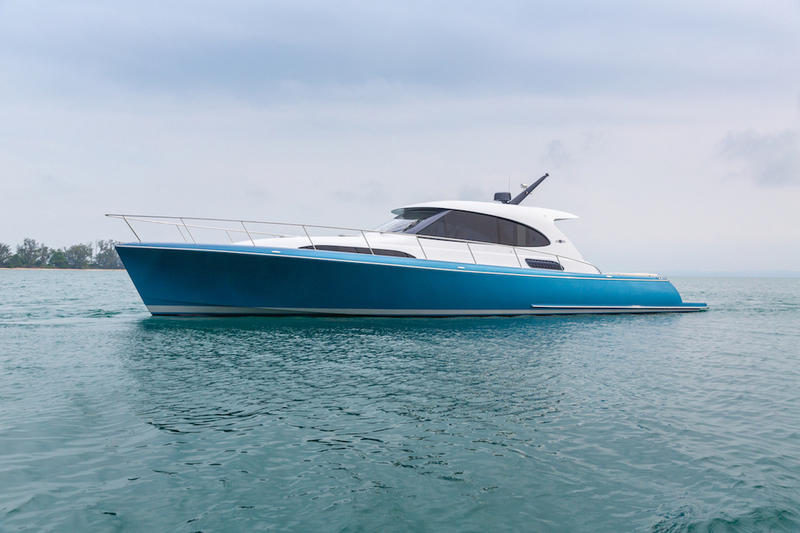 Princess Yachts, together with local dealer Boat Lagoon Yachting will present the Princess F45, making her Asian debut at the Show. Don’t be fooled by her compact size, this brand new flybridge model is packed with technical innovations including an extended flybridge and a unique electronically controlled sliding transom. She is powered by Volvo IPS 600s. Presented by Ferretti Group Asia Pacific and local dealer Hong Seh Marine, the award-winning Riva 76’ Perseo boasts a spacious lower deck master stateroom complete with walk-in wardrobe, marble bathroom and a seating area. 23 metres in length, the Riva 76’ Perseo comes with a foldout helm station on her sundeck, allowing owners to pilot the craft from a privileged position. Presented by Simpson Marine, Sanlorenzo’s Asian dealer, the SD126 will be on display for the first time in Asia. The flagship of its semi-displacement SD fleet, the SD126 epitomises stately luxury with advanced technology. The 11th Asia Pacific Superyacht Conference returns to the ONE°15 Marina Sentosa Cove, coinciding with SYS, the theme of the conference is Looking Beyond Current Horizons: Developing Your Luxury Marine Business in Asia. This year the event features an expanded B2B agenda consisting of a full-day conference and an additional three industry workshops. Featuring in-depth topical case studies and panel discussions, these interactive sessions will generate greater knowledge exchange between speakers, workshop leaders and delegates, along with highly effective networking results. Participants will also benefit from the unrivalled expertise of over 30 speakers and more than 100 senior industry peers. If you are visiting the Show from abroad, look no further than staying at The Capitol Kempinski Hotel, a brand new five-star luxury hotel located in the heart of the city’s civic district. As the Official Hotel Partner, they have secured a truly fantastic package with exclusive benefits for show visitors. Beautifully conserved architecture lifted with a modern touch and bespoke hospitality, it is only a short drive away to ONE°15 Marina Sentosa Cove.